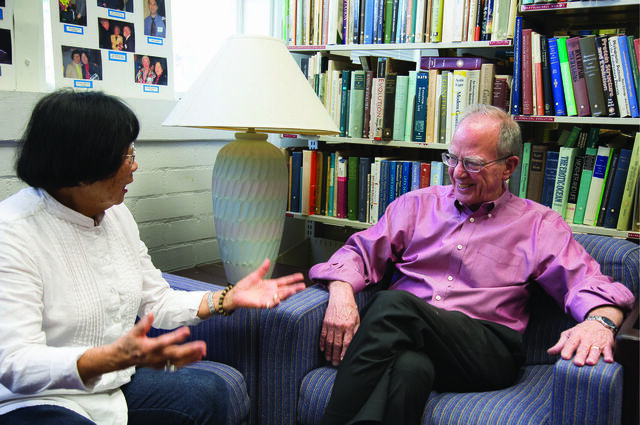 Jane Shen-Miller and J. William Schopf of UCLA's Department of Earth, Planetary and Space Sciences. 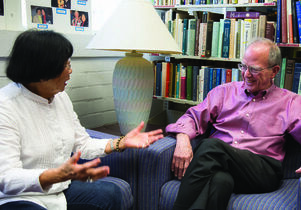 Distinguished professor of paleobiology J. William “Bill” Schopf and his wife, plant biologist Jane Shen-Miller, believe everyone should do their “little bit” to improve the world. In their most recent example of doing exactly that, they have established two new funds to benefit faculty in their home department of Earth, Planetary and Space Sciences (EPSS). The Endowed EPSS Faculty and Staff Enrichment Fund will underwrite monthly events to foster a sense of community in the department, and the Endowed EPSS Spousal/Partner Employment Opportunity Fund will help spouses and partners of newly appointed faculty find meaningful employment in their professions. 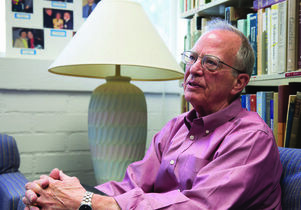 Schopf, a UCLA faculty member for the past 47 years and founding director of the Center for the Study of Evolution and the Origin of Life, led research that was instrumental in proving that life on Earth existed at least 3.5 billion years ago, much earlier than previously thought. Shen-Miller, a senior scientist at UCLA since 1979, helped open new avenues of inquiry into the aging process when she co-directed a project to sequence the genome of the long-lived sacred lotus plant. Schopf and Shen-Miller manage separate labs across the hall from each other on the fifth floor of the Geology Building. 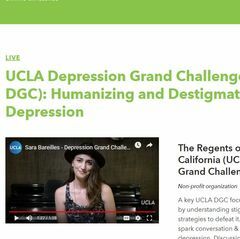 Margaret MacDonald, senior development writer at the UCLA College, recently interviewed the couple for the UCLA College Report. 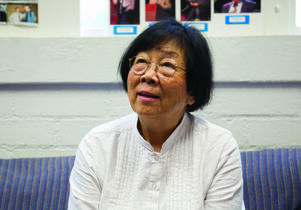 Jane Shen-Miller (JS): When I was 8, my father told me that my aunt’s work in genetics helped improve crop yields, alleviating the food shortage in wartime China. From then on, I wanted to be a farmer, and in college I studied horticulture. J. William "Bill" Schopf (WS): Most of the boys in my fourth-grade class wanted to be policemen, firemen or pro football players, but I remember telling our teacher I wanted to be a professor. I thought of it as a way a person could contribute to society and to knowledge. JS: We were both members of a U.S. scientific delegation to China in the late 1970s. 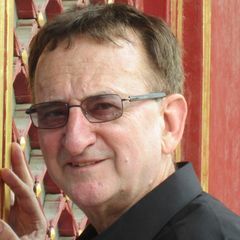 I was asked to translate Bill’s presentation into Chinese, but I became so interested that I interrupted him in front of 500 people to ask questions. He was surprised! What do you do when you hit a brick wall in your research? JS: Research is full of ups and downs. It took years to find someone interested in sequencing the lotus genome, but I kept at it because I wanted to know how lotus fruit could remain alive for 1,300 years. Eventually, we unlocked a path to help unravel its mysteries. Why did you set up these funds for your department? WS: I feel the department should be like a family, where everyone supports each other and feels appreciated. The enrichment fund provides a way to foster this interaction. The second fund is designed to help working partners of newly appointed faculty find new jobs. I hope this idea will eventually catch on all over campus and even UC. It’s small, but we’ve got to start somewhere. JS: The Center for the Study of Evolution and the Origin of Life began as one of Bill’s “little ideas.” For 25 years, the center provided graduate fellowships and hosted a weekly dinner/discussion for an interdisciplinary group of students and faculty from UCLA and other universities. WS: I truly believe a university ought to be a place where people can come together and learn from one another. If we inspire each other, all of us can play a role in helping this be a better world.